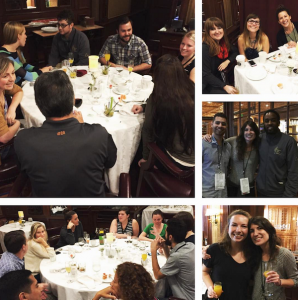 Bringing writers, filmmakers, and the community together. Want to work with us? Volunteer, Intern, or check out our job opportunities! Click on the staff image to view their bio! Barbara Morgan co-founded Austin Film Festival in 1993 and has served as the sole Executive Director since 1999. As a filmmaker, Morgan developed and produced the film Natural Selection, which has aired on Showtime, the Sci-fi channel, and was released internationally. Morgan also co-produced the feature documentary Antone’s: Home of the Blues, which as also released internationally. 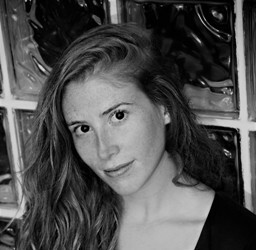 Most recently, Morgan produced the documentary feature, Portrait of Wally(2012), and the narrative feature Spring Eddy(2012). She developed and produces the TV/Radio/Podcast series On Story, currently airing on PBS and PRI stations across the country. In 2010, Morgan produced a reading of Bud Shrake’s play “A Friend of Carlos Monson” with director Jeff Nichols. In 2013 Morgan co-edited “On Story: Screenwriters and Their Craft”, which was published by UT Press. 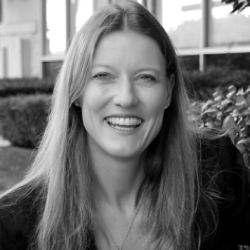 Morgan serves on the Board of Directors for a number of organizations, including International Film Festival Summit and The Wittliff Collections at Texas State University. Rob hails from the Rocky Mountains of Idaho where he grew up white water rafting, skiing, and re-watching Jurassic Park regularly. He originally joined Austin Film Festival immediately upon moving to Austin in 2016 in order to intern in the AFF Film Department. Since then he served as the Volunteer Manager for three consecutive festivals and is now managing over five thousand film submissions as the Film Competition Director. In his free time Rob enjoys being outside in the hills and on the water, drawing, watching action movies, and the art of fermentation and brewing. Alexandra “Alex” Mitchell was born and raised in St. Louis, Missouri. After graduating from Washington University with a B.A. in Film & Media Studies, she made the trek down ‘south’ with the dream of working at Austin Film Festival. She made it! After serving as a Conference intern, Registration Director, and recently the Project Manager, Alex is honored to serve as the Shorts Programmer in the Film Department. When Alex is not watching films and reading up on the industry, she is eating brunch and playing board games. Steven DeBose has worked with AFF for the last four years in various capacities. 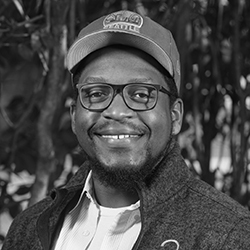 DeBose is a screenwriter from Austin, TX who has written several shorts, web series, teleplays, and feature screenplays. 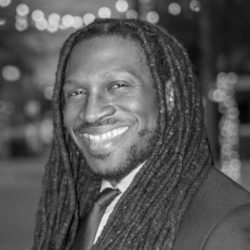 DeBose is a fixture in the Austin film community working as an advisor for the Austin Youth Film Festival and GTX Film Conference. In this role, DeBose will oversee the selection process of submissions, recruit industry professionals to judge scripts, and promote the year’s top writers through unique opportunities at the annual Festival and Conference and beyond. Originally from Eagan, Minnesota, Gabbi moved to Austin in December of 2014. Since her move she has filled a number of roles within AFF from Membership Coordinator to Registration Director before transitioning to her role as the Script Competitions Manager in 2016. She is also the Director of AFF’s Fiction Podcast Script Competition. 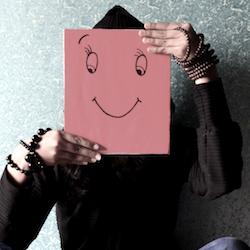 Gabbi is a writer and improv, standup, and sketch comedian. 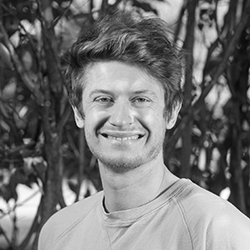 Originally from Wisconsin, Colin moved to Austin after graduating from Columbia College Chicago. For five years he taught film to youth through organizations such as Austin School of Film, Creative Action and Austin Film Festival’s Young Filmmakers Program. Colin is thrilled to continue his work educating and inspiring filmmakers as AFF’s Conference Director where he programs the annual Writers Conference and the year-round Conversations in Film series. 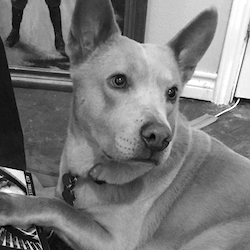 Outside of the office, Colin enjoys reading Stephen King novels and playing with his dog Mayo. Born and raised in Texas, Samantha graduated from the University of Texas at Austin with a B.A. in English. Her passion for writing and storytelling led her to Austin Film Festival where she began as an intern in the Conference Department before taking on the role of Film Marketing & Events Coordinator. Since then, she has served as AFF’s Office Manager and Executive Administrator before making her way back to the Conference Department as the Festival’s Conference Coordinator. Out of the office, you can find Sam enjoying live music or binge-watching movies over wine and tacos. 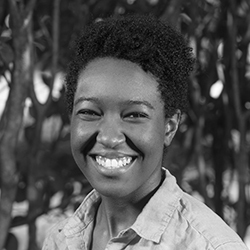 Sonia McCarter first joined the AFF team in 2011 interning under the Executive Director. She earned a B.A in Electronic Media from Texas State University. During her time at Texas State, Sonia served as Assistant News Director of the college radio station KTSW 89.9, winning several awards for radio documentaries she wrote, produced and edited. Sonia returned to AFF in 2012 to manage several different projects including the overall On Story® brand. Sonia currently serves as a producer for Austin Film Festival’s PBS-affiliated television show, On Story as well as associate producer of the On Story radio show component currently airing through Public Radio International. Sonia also oversees all of the AFF archives and is currently working to transfer and store over 20 years of material. Originally from Madrid, Spain, Sonia coincidentally moved to Austin the same year of AFF’s inception-something she believes was meant to be. Besides multi-tasking on a daily basis, Sonia enjoys live music, photography, reading, and spending time outdoors. Originally from Dallas, Texas, Katy graduated from the University of North Texas with a M.A. in Art Education and a B.A. in Art History. 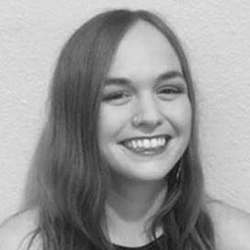 Before moving to Austin in 2015, Katy worked as the Manager of Programming at the UNT Art Galleries where she coordinated 90+ exhibitions per year in three student galleries and helped manage two professional, contemporary gallery spaces. 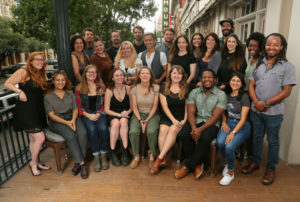 Most recently, Katy served as the Managing Director at Austin Film Festival, working alongside the entire AFF staff to help further the vision and mission of the organization through new projects and initiatives. As the Director of Strategic Partnerships and Development, Katy works closely with partners and sponsors to enhance the Festival experience for all attendees. 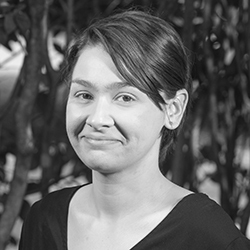 When not in the office, Katy enjoys playing with her dog, drinking wine, and spending time with friends and family. Originally from Chicago, Samantha attended the University of Texas at Austin and has stayed in the city ever since; she received a Bachelor of Arts in Theatre and Dance with a concentration in RTF. 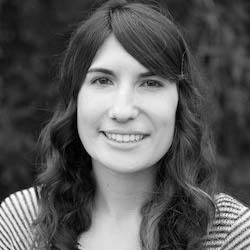 Samantha originally joined AFF as an Office Management Intern for the 2013 Festival and has also filled the roles of Event Coordinator, Office Manager, Theater Operations Coordinator and Script Reading Coordinator. Samantha is looking forward to furthering the mission of AFF through marketing efforts. In her spare time, Samantha enjoys yoga, going to see live music and theatre, performing and sleeping. 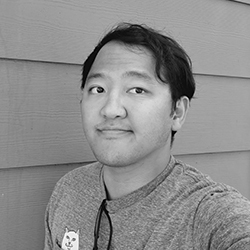 Joe Choe joined the AFF team in 2019 as the Community Outreach Coordinator. 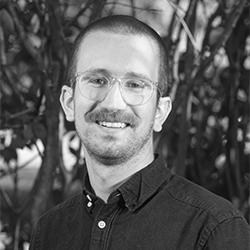 In this role, Joe works with both the Development and Marketing departments, helping AFF with marketing needs, grants, and partnerships. Joe graduated from the University of Texas in 2009 with his Bachelor’s Degree in Radio, Television, and Film. 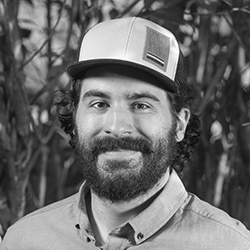 After a brief stint in the video game industry, Joe worked with the small business community in Austin, working in both software and photography. In his previous roles, Joe worked with the Multi-Ethnic Chamber Alliance, and various other partners like the City of Austin, to plan and promote community events for local minority business owners. In his free time, Joe likes to write and plans to have his first fiction novel finished before 2020. 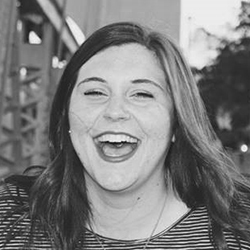 After graduating from Baylor University with a degree in Film and Digital Media, Olivia accepted an internship in the Conference Department at Austin Film Festival, where her love of story and passion for people intersected. 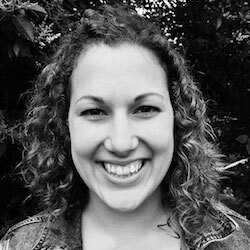 Excited by the opportunity to continue to foster community amongst writers, she stepped into the role of Conference Coordinator the following year. Now directing the Young Filmmakers Program, she’s thrilled for the opportunity to engage and encourage emerging young writers. Outside the office, you can find Olivia making/drinking/dreaming about coffee and/or binging bad procedurals. After a deep love for film developed in college, Sage felt he needed to learn about how the industry worked. He moved to Austin, Texas in 2016 and began working in various capacities with Austin Film Festival. Eventually, he worked as the Events Coordinator in 2018, and joined full-time as the Project Manager in 2019. His passion for the arts, particularly writing and film, and getting the opportunity to connect with people in these fields is what keeps him going. 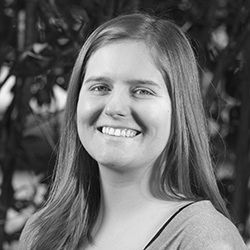 Amelia has a long history with the AFF family, having interned for the Development Department in 2016 while earning her Master of Arts Management from Carnegie Mellon University. After attaining her degree, she returned to AFF as the Travel Coordinator while also working for several arts & culture institutions in Pennsylvania; in this role, she managed annual funds, endowments, and capital campaigns. 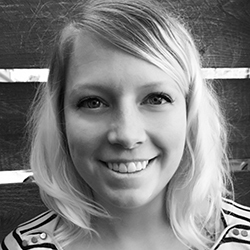 In February 2019, Amelia made the move back to Austin to serve as AFF’s Managing Director. In this role, she will work alongside staff to best progress the goal of our organization: supporting storytellers and their stories. If you visit, you’re likely to run into Roy Morgan. He’s a big fan of head pats, belly scratches, and great filmic storytelling. Follow us on social media — especially instagram — to get more updates from this cool canine.